When my sister needed a helping hand to take care of her daughter for a day, I volunteered. I get along well with my niece and to keep her busy, we went to mall so she can play and try the new rides. She is well-trained with cleanliness so; when we went to the bathroom, she immediately asked for a toilet seat cover. I was well-prepared because last week, I received this disposable toilet seat cover for children. It covers the sides and the front of the toilet and my niece likes it because she was comfortable. I had the chance to try this disposable toilet seat cover for my niece that day. There are 6 individually wrapped potty cover in a bag and I find it very handy as I just simply slip 2 of this in the tiny bag of my niece. The potty cover is amazingly soft; it is made of non-woven fabric with a plastic layer to keep anyone sitting on it dry. I can attest that this is really brilliant for kids. When my niece used it, the potty cover is long enough in the front to keep her legs and undies from rubbing against the toilet. The long flops on the sides also keeps her hands clean when she holds the sides for support as she sits down on the toilet. She was fussy when we went to the bathroom but, with this potty cover, she doesn’t seem to bother anymore! When my sister took my little niece home, I gave her the remaining four pieces which she was very pleased to have. She said it is nothing like the ordinary type and would definitely buy and use it. This product is a must-have for parents. You can buy a pack of PottyCover for $5.99 at Amazon, Ebay, all Buy Buy Baby stores nationwide and at select Bed Bath & Beyond stores. Check it out! In all my travels, I used Continental airlines because they are affordable and their route is favorable on my part. I have no problem with few hours of lay-o-ver since I love to wander inside the airport. I travel light and I travel alone most of the time. I encountered a cancelled flight due to weather disturbance when I was in Houston and, they put me on standby the next day. Generally, I have no problem with this airline company but, sad to note that United Airline took over Continental Airline. I still have my miles and if I use 65K miles going to the Philippines or Europe, I only pay $55 for round trip. That's an amazing deal right? With continental airlines, I only pay $16 for round trip. The price went up a little bit but, it is still good. Remember to always use the card with reward miles because in the future, you will benefit the miles. Summertime is a good time to splurge your yard and create a lasting curb appeal impression. It will make a difference once you successfully made the transformation. There are amazing perennial plants that bloom beautifully in summertime and you should take advantage of this opportunity to make your yard appealing to the eyes. Mostly, we like to improve our yard to please us and design it so that it will function according to how we want it. If you include the re-painting of the outdoor appearance of your house to compliment with the landscape, please do so. I have seen so many houses that made a lasting impact when they repaint their outdoor property. Do not forget to improve your mail box because it will truly make your place the envy of the neighborhood. Check out the mayne mail boxes and view the selections that they have in the Website. You can choose from the available colors they have in the site and have your pick with a vinyl type, granite or pvc. If you want to do a project, do not delay. Do it now and make sure you visit the link above so; you can have a new and appealing mail box standing grand on your property. There is no Belk store in Orlando area so: I can only shop in this store thru online. There was a sale few weeks ago and I bought this attractive and durable baking set with a nice a tote. This is "Bake N Take" bakeware set: a 3-qt. Baking Dish with plastic cover, an 8-inches Square Cake with plastic cover, an insulated carry tote and a hot/cold pack. This product is made in the USA. If you are looking for a baking set, I recommend this product because it is very durable and affordable. Check it out now! If you are a student, do you like to carry all your books at home even if you do not need them for the night? When i was in college, we have lockers but, I do not remember if I ever used one. I know that we have a locker in the ladies room but, since I was working in the school library, my preference was to leave my things in the workplace. How about you? I was working in one of the casinos in Mississippi and I have a locker. I usually leave some things in it such as my watch and my netbook. 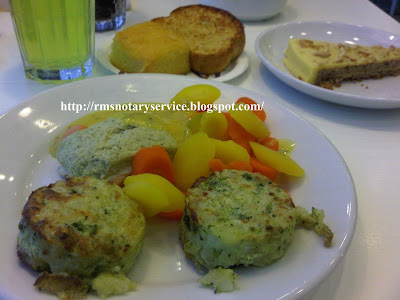 I was blogging during my break time so; I always have my netbook with me. I love to stay in the locker room and it has a dressing area which is my favorite place to nap after lunch. I am so thankful that we have employee lockers because I can store my uniforms and my netbook. Sometimes, I go to work in casual attire and just change in the locker room. I always have extra uniform inside my locker and when I logged out, I wore casual attire again. If your school or office does not provide you with lockers, let them know that they can purchase lockers at affordable price. Just click the link above and view thousands of quality and amazing designs of locker selections. Check it out! We had a white canister just like this one which we have been using for years now. 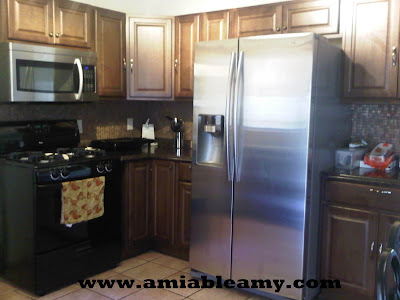 We kind' a tired with it so; we bought the color black to match our appliances in the kitchen. This set comes in 4 canisters with clamp-style sealing lids and wooden scoop spoons. It's made of a ceramic and it's really durable and very functional in our kitchen. When I buy new things, I usually gave away the old one. It still looks like new and for sure, my family back home will be delighted to have it. Would I recommend this product? Sure. Check it out in the store today. The kitchen in the house that we bought was outdated and not functional so; we decided to gut it all and bring in new cabinets and new black and stainless appliances. The result is fabulous and I love this Samsung refrigerator. The Total storage capacity of this product is 25.5 cu. ft. It has twin Cooling System which controls and generates cooling air for refrigerator and freezer separately with two evaporators, two fan systems and precise electronic control. The twin cooling system maintains right humidity and temperature levels. It has LED lighting which brightens every corner of the refrigerator and freezer. It has external digital display and control and it shows the inside temperatures, when to change the filter as well as controls the ice and water dispenser. It has Multi air flow and Clear View ice maker which is located directly in the freezer door. I like the power freeze and power cool feature of this refrigerator. If the ice cream melted on the way home from the grocery, one press of a button will be return to frosty perfection within minutes. It has door alarm and it beeps to remind that the door is open. 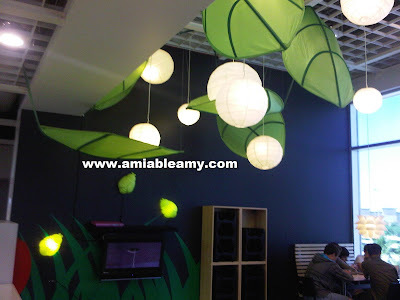 This is an Energy Star qualified product meaning, it uses less energy while saving money. It has deep 4 tempered glass shelves, dairy compartment, 2 drawers and 5 glass shelves. The product reviews of this refrigerator is mostly positive. So far, hubby and I like it a lot and we have so much room to store our food. The price? Just check it out in the appliance center in your area. 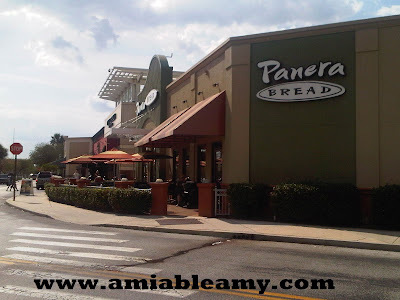 One of the places that my husband and I hang out is Panera Bread at the Mall of Millennia for two reasons, food and ambiance. This mall is a bit undiscovered by the tourists so; it's not that crowded compared to Florida Mall. Panera Bread cafe' has savory soups, salads and bread and their bakery displays tempting selections of fresh bake breads, mouth-watering pastries and sweets, sandwiches and more hearty yumminess. 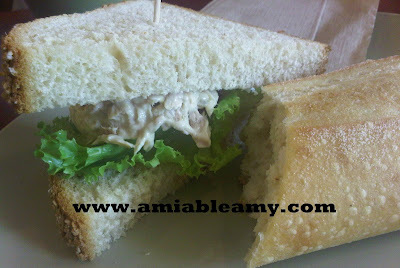 Our favorite orders usually from cafe' soups and cafe' sandwiches such as tuna salad and creamy broccoli cheddar. I can stay for long hours here because of their WiFi and to connect is easy. Nowadays, businesses that have WiFi attracts loyalty from costumers. Friends made this location their meeting place and of course, they don't sit there and use the Internet without orders right? Somehow, they will get hungry and order so; WiFi is a plus in business. Must posses an experience as a multi-unit restaurant operator; recognized as a top restaurant operator; must have a net worth of $7.5 million; liquid assets should be $3 million; the infrastructure and resources must meet the company development schedule; must posses a real estate experience in the market to be developed; should have total commitment to the development of the Panera Bread brand; must be Cultural fit and must have the passion for fresh bread. If you think you qualify, Panera Bread would bring you money in the bank for sure. For more information, check out their Website at panerabread.com. This post brought to you by VISIT FLORIDA. All opinions are 100% mine. One of the most traveled places in the world is the state of Florida. I love this place because of the warm weather and hundreds of miles of beaches. The weather and the beaches attract millions of visitors so; visitors prefer to visit the Sunshine state every year, most especially every summer. I am just lucky that I have visited most of these amazing travel destinations because Florida is my home state. Summer is a good time to visit to enjoy the great outdoor activities such as swimming with manatees in the wild, experience the horse-surfing, enjoy a Segway tour in the old city of Saint Augustine and of course, swimming in the beautiful place in Cocoa Beach. Any vacation plans this summer? You should check out VISIT FLORIDA on Facebook and take advantage of Florida’s Three for Free Giveaway. I am inviting you to join every day for a chance to win three of your dream vacation destinations in Florida and you should hurry for this is good up to June 30th only. There will be only one lucky winner to win the three summer vacation options. Nine other winners will win one vacation package so; what are you waiting for? Enter today and you could be the big winner! Florida Keys Fishing at Florida Keys is a 4 nights stay sponsored by the luxurious Hawk's Cay Resort and it will be a thrilling adventure to experience. The Tee Time for Two is a vacation for 3 nights sponsored by the world class Renaissance Resort at World Golf Village. The chance to visit World Golf Hall of Fame at World Golf Village would be awesome. The Ultimate Spa-cation is a total relaxation vacation for me. Staying for 3 nights sponsored by the PGA National Resort is all about pampering at the Spa! These three places are my top choices so; what would be yours? Here are more options that you can pick to visit: Step into the Past where you will stay 4 nights at St. George Inn in St. Augustine; Classic Family Beach Week, a weeklong vacation for 4; The Breaker's Luxury Dream Vacation, a 3-night stay and pampering at the Breakers Palm Beach. There is a Family Adventure for 2 days and good for 4 members of the family to LEGOLAND and LEGOLAND Water Park then, stay for 4 nights at the Holiday Inn Winter Haven. Space Cowboy package is another interesting adventure to visit. Experience a surfing lesson from Cocoa Beach Surfing Company, have lunch with an astronaut at Kennedy Space Center, and check out the herd of cattle in a ranch at Forever Florida. Staying for 3 nights at the Cocoa Beach Hilton Oceanfront would be awesome. Do you like to see animals in their habitat? Take the Swim with the Manatees option and visit Homosassa Springs State Park then, stay 4 nights at the Plantation on Crystal River. Tennis Lovers Gourmet Getaway is another package that is awesome where you will stay at Resort Quest by Wyndham vacation Rentals in Destin. Aside from that, you will also enjoy the $250 shopping spree at Silver Sands factory Store. Another package is Natural Florida which you will explore the Anna Maria Island, Longboat Key and Bradenton using segway and bike. Then, you will stay in Tortuga Inn Beach Resort for 3 nights. I should say, these places are glorious and if you are the ultimate winner, you will be the envy of other participants. I want to win but, I am sharing this information so you could win too. The picture above is a proof that I just entered the sweepstakes. Check out the links and I am inviting you to join now. Good luck to us all! 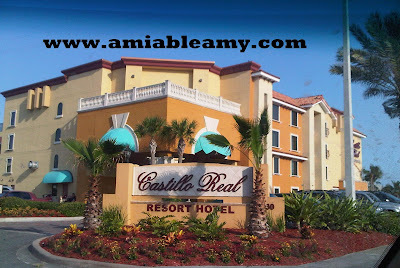 When we had a short vacation to Saint Augustine Florida, we stayed in Castillo Real Resort Hotel. This place is our saviour! We enjoyed every seconds of our 3-day stay here. We used their cozy huge pool, their relaxing jacuzzi, the comfortable room is in good size, food is great and most of all clean and tidy! When we decided to visit Saint Augustine, we just look up the pictures of the hotel and we were mesmerized by the nice building and pool of one hotel posted on a site. Without reading the reviews, we booked for it. When we arrived the location, it was an old huge building with nasty surroundings. It was located in Beach Boulevard, the first hotel on the left side. We went in and told the person at the front desk that we will look at the room first. I noticed that the lobby has nasty cages of birds. The smell in the lobby is not good at all. The inside office was a mess with cats and food trays on the floor. We glanced at the room and did not bother to go inside the room. We cancelled the reservation and we were able to pay $20 for cancellation! Bummer! How could they stay in business when they can't handle the cleanliness? Anyway, Castillo Real Resort Hotel is just few minutes drive further and thankful that they still has a room for us. Their pool is gated and every guests have the key to this facility. The place is always peace and quite. I noticed that some people left their gadgets on the umbrella table and was there the whole time. The whole facility was equipped with surveillance camera. Every afternoon after we stroll the beach or went roaming the old city of Saint Augustine, we used the pool and their jacuzzi. We just love this place. If you plan to visit Saint Augustine, you should check out this hotel. We used solar lights in the garden and we did save a lot on our electricity bills for the last two months. My husband is planning to have a solar panel installed for rebates and tax credit purposes. But, I know for a fact that if we indeed install solar panels in the property, we will be saving big bucks on our utility bills. If you live in California, you should check out Baker Electric Solar, a solar energy power installation provider in your area. They offer custom solutions on solar electricity system for residential as well as commercial properties. I checked on the Website and by just looking at the comparison of the money spent before and after using the solar energy, I could tell that there's huge savings for anyone who switch to solar power! Visit the Website too and see the difference. Our friend has solar panels that cover the heating system of their pool. She just loves the savings and she recommended that we should use the solar electricity system too. The company of Baker Electric Solar offers affordable monthly payments as well as no down payments for solar installation in your property. You might take advantage of their program and start getting savings on your utility bills. Call them today at 877-543-8765 for more information and their customer service representative can walk you through your inquiries. 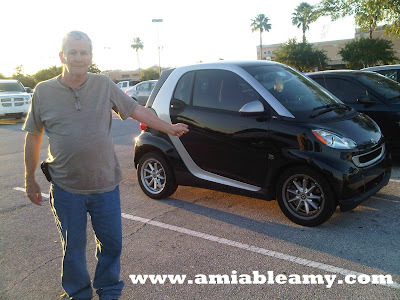 While we went to Florida Mall yesterday, hubby noticed this cute Smart car. He wanted to buy one which is alright to drive right here in Cocoa Beach area. Most 2012 Smart for two passion car has a mileage of 9 with convertible body style. I would say, the silver and black exterior color is really great. This runs with a gasoline fuel. It has a 5-speed automatic with auto-shift transmission. If you don't like two doors then, you won't fancy the smart car. Smart car features the following: AM/FM stereo, audio system memory card slot, audio system security, automatic front air conditioning, has braking Assist, has bucket front seats, has driver and passenger knee airbags, with dusk sensing headlights, has 8.7 gal. fuel capacity, 34 mpg fuel consumption in the city but, on the highway, it's 38 mpg. The fuel type is premium unleaded. Smart car's weight is only 2,247 lbs. It is equipped with a passenger airbag and side airbag for safety, and has a powered convertible roof. The mirror adjustment is powered with remote as well as the windows. According to one smart car owner, smart car is one of the best small cars on the market. It is a Mercedes Benz craftsmanship lead to a winning combination. Now with 5/50,000 mile warranty. This car is a magnet for people wherever they go. In fact, my hubby here can't help himself but admire this lovely car. The Entertainment Industry is and will always remain a booming business. Amidst the crisis, people will always patronize the entertainment industry such as the music, theatre and movies of a favorite cast member. For talented individual, money is easy in this business that is why; people join in singing and dance contests. I think the theatre is harder to get into. I was watching the Smash TV show and somehow it shows what it is like in the theatre industry. Real talents will always have a room in this business. If you think you have the potential to make it big but needs to polish more, check out this Website Audition Coach.com. This type of service can help you improve your skills and talents. They can help refine the talent that you already have. When submitting your audition in acting, singing or dancing, their service will be there to coach your greatest potential. A little polish to show your confidence on stage is a great help. Just check it out and you might be interested to hire a coach in preparation for your audition. Refining your acting, the control of breathing when you sing, and precise dance moves could be a big impact of being accepted in the audition or win the contest big time. There is always a room for improvement and if you can afford to hire a coach, have one now. The thought of moving can be exciting for some especially when they move to a newer, bigger and ready to move in property. But, for those who loves their present home and been attached for years, moving is a bittersweet longing. No matter how you feel, having a new home is not bad at all. Now, here's the checklist that you should do so you won't stressed out on what to do next. *Make sure you change your address right away. *Connect the utility connections to your name as soon as you own the house. I have the electricity account under my name and the alarm system account too. Water and cable are in the name of my hubby. *Save all the papers associated with your new home such as contracts, sales receipts, owner's manuals, home warranty documents and etc. Including the papers on the appliances delivered. Now, I can't find the warranty paper, my bad! *Keep track of your moving expenses since they can sometimes be tax deductible. That is right! *Change your driver's license and vehicle information. * Inform your friends and family that you have a new address. *Be able to know the location of your church, libraries, community activities, local businesses and local government agencies. *Locate the nearest hospitals in your area. Transfer your prescriptions and find a new doctor and dentist which are conveniently located in your area. *Do not forget to register to vote in your new community. For other related matters regarding your moving, you will get by along the way. Just don't procrastinate. Act on them now. I lived in the Gulf Coast for two years and fishing is the common activity in the area. Fishing Contests are held and some participants came from other states. The rules are complicated at times because aside from the time constraint and the size of the fish, they have to find certain types of fish too. Registrations are mostly affordable. My friend who actually been participating in such big event says that it is not about winning. It is about self-accomplishment but of course, it will boost his self-esteem if he will one day catch the biggest fish and will be declared as the winner. One of the best fishing destinations in the country is right here in Florida. My husband and I have our fishing gears but, we still can't find time to go fishing in our area. We just bought a house here in Cocoa and I am sure, fishing will keep us busy this summer. My husband and I are both novice anglers. I am always excited when I caught a fish in fact, I can't help myself but scream in disbelief! What if I will have the opportunity to catch species such as red fish, spotted sea trout, snook and tarpon? I would probably scream at the top of my lungs. Anyway, would you like to see the fishes caught by the happy people? Check out the link posted here. Enjoy viewing everyone. The only set back on the house that we bought is the closet. I am happy and contented with all the other parts of the house except that. Not all in the wish list will be available exactly. So, since there are 3 bedrooms, hubby gave one room as my office and my "woman cave". Sweet! Now, I am thinking IKEA! 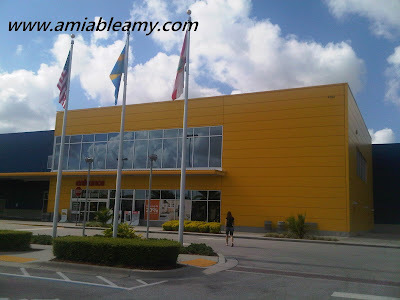 We have IKEA in Orlando but, we moved 40 minutes away from the city trying to live in a coastal area. 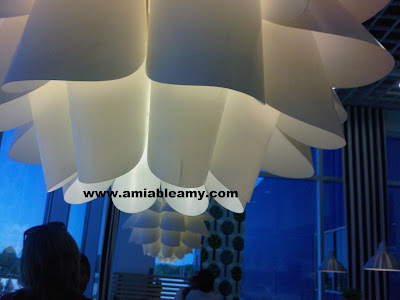 Still, IKEA in Orlando is the nearest store that we have but, it would be hassle for us to just go there and look around. When we bought a condo almost two years ago, every time we need something in the house such as bed frame, book case, and bathroom fixtures, it was so easy to just drive down to IKEA. It's about 20 minutes from where we live. Now, it's different. Oh, I miss this store. I love their products because I love doing some DIY projects. 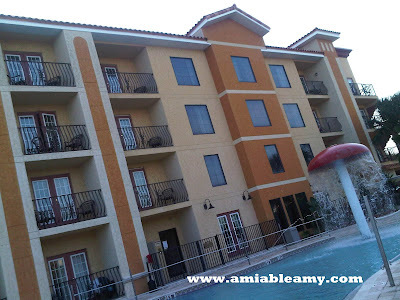 Living in Orlando is fun because our condo is located in a good neighborhood and everything is right nearby such as the malls, Disney Parks, Seaworld, Universal Studios and more. Of course, the traffic is horrendous being one of the most traveled places in the world. That's normal but, we hate it so; we are enjoying the casual traffic along US1. Since we live by the beach, if we miss IKEA and their food, we have to schedule a trip to Orlando and pick up some other stuffs. I told hubby that we need to visit IKEA next week so I can pick up some bathroom fixtures, some cute knickknacks and storage bins. Love their collections really. 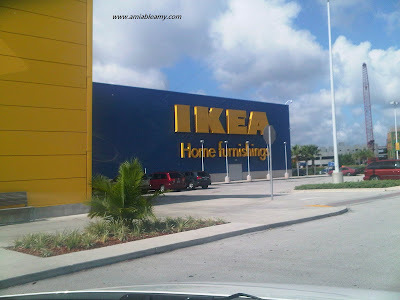 We went to Orlando everyday since Monday but, got no time to go to IKEA. We had to meet our renter, make sure that the carpet guy clean the carpet well and take the last furniture out from the condo. Now, I am all set to arrange all our stuffs in the house. One trip to IKEA would be nice. I wish they will open another store right along the coast. I shop for good deals and this gift set is just one of them. 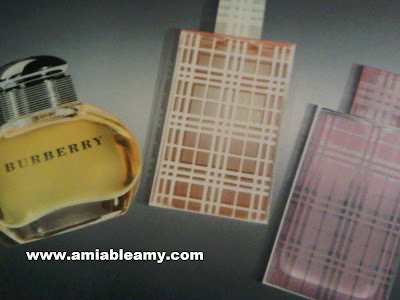 Burberry parfum is a product line by Burberry Group, a British luxury fashion house. It manufactures clothing and fashion accessories as well. Thomas Burberry is the founder and this company was established in 1856. In 2009, Burberry was noted as the 98th most valuable brand in the world according to Bloomberg. 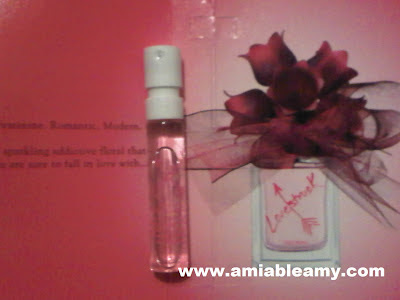 Anyway, I like the scent in fact, one of my most favorite perfumes. 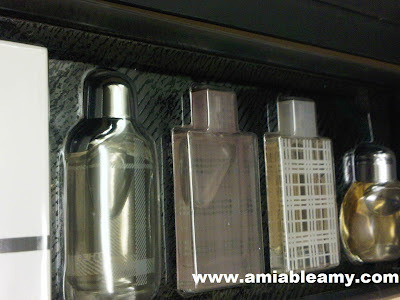 These 5 perfumes are for women: eau de parfum, eau de toilette brit, brit sheer, the beat and eau de toilette sport. What's my favorite? the eau de toilette brit for women. Such a sweet scent and not strong. You might like it too. Check it out. I thought I could finish all the necessary things needed to be done before Monday but, I was wrong. I woke up early today and tried to blog. But then again, couldn't! I need to leave the home office and hit the road to Orlando to make the condo ready for our renter next month. Hubby and I love our condo property but, we do not miss it. We love this newly bought house that we have now.... so spacious for the two of us and located in a nice working class community. We have move in for few weeks now but, there's so much more to do. Homeowners need to take care of the yard right? Lawn care people asked for $65/month to mow the yard but, both hubby and I does not mind mowing. We plan to buy a new electric lawn mower and we will have a DIY activity. Sounds good for us! Well, we have another trip to Orlando tomorrow to assist the renter regarding his cable connection. I will continue to sort few things to put in the Balikbayan Box so that, by mid week, I am totally done. Then, I can blog.....and I could earn. This is a Sponsored post written by me on behalf of PA Tourism. All opinions are 100% mine. Are you planning to have a road trip to Pennsylvania this summer? Got no clues where to go and what to visit? That is not a problem because I found a Website which will turn your roadtrips exciting, fun and easy to push through. I am talking about Roadtrip-a-Matic, a travel site and a good resource for all the good things about the state of Pennsylvania. This Website has full of information about what to do, where to go and what places to stay. I would say, visitpa.com is a total resource for everything you want to know about Pennsylvania. You will enjoy reading the information they share on the site and its truly helpful for travelers like you and me. My husband and I are also interested to have pa-roadtrips this summer. We both love to travel along the scenic route and see the view of the coast then, cut over towards Pennsylvania state. I checked on Roadtrip-a-Matic site for some nice place to stay on a country side. I was amazed to know that this site has more than 800 listings of Bed and Breakfasts and Country Inns. That's plenty to choose from and each suggested places have complete information about the business. No need to scout for places to sleep in and that's a good start for a hassle-free vacation getaway! How about you? Check the Website today and share in the comment section below which trip you want to go and what places you want to visit in that state. I would love to read about your trip to Pennsylvania. Sample size fragrance is nice to have especially when it is free. Looking for a Website that has good deals? You better check out Ulta.com. 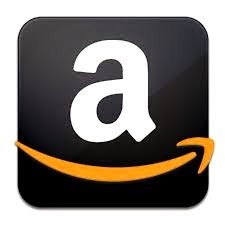 Whenever I need beauty products, I shop on this site. Their price is lower and most of the time, they give away product samples. Be a wise shopper! Check out this Website if you want savings and loves to collects some freebies. What do you do in your free time? There are so many activities out there that will keep us busy and active. Some of us would probably spend the time with the family or hang out with friends and share an interesting activity at home. Have you gathered together and play games? Did you compete for who got the highest scores? I bet! Once in a while, I play games online. I like puzzle games such as Sonic Gem Collector and Sonic Tetris Series. I admit that once you start playing, it's harder to quit because it is very addictive and competitive. The Mario and Sonic Zombie killer is pretty interesting to play also. Thrilling, fun and most of all, it's all free games. My nephew started to compete with me in the scoreboard. He wanted to become the winner between us. Of course, younger generation is keen to arcade games. I let him win after all, we have a friendly competition. I must admit that he is way better than I am and he is fast too. We do not discourage him to play online games as long as he maintains good grades in school. It keeps his mind active and can handle a situation without panic. Playing games involves patience and focus. If you apply such in real situation, chaos will never exist! Anyway, playing as a family can build a harmonious relationship. Kids will stay home and it's a positive thing right? Well, check out sonicgames365.com and browse their site for games that your family might like. Make your free time exciting and fun for the family! If you play together, you will create a memorable family moment. Children tend to get bored if they left with nothing to do. Playing games make them busy so; why not make it a family activity?